The popular dating app Tinder is now launched in Tizen Store. This is not the official Tinder app but made with same API so customers can get all the official features of this dating app. Tinder is well known app for its dating services over the Internet. It is very trusted and most recommended app for dating services. Over millions of people uses it to find out their exact match on the net. If you are new to this app then I want to tell you that it is online dating app for all the customers who want to search their partners in their nearest area. When you login to Tinder then it will find out interested match near to you. It will give you perfect match from your nearest location or from your city. It will give you list of all the matched person from your location and you can choose your perfect match. You can like your perfect match and if same person like you back then you both can chat with each other. Later you can date that person in real world. It is made by third party developers and it named Match for Tinder on Tizen. To join Tinder you can create account using your Facebook login ID. It is because, it gives you recommendations using your Facebook friends and also it is useful to verify your account. It will borrow your profile picture and other info from Facebook account. Once you successfully login then you can choose whether you want to follow men or women. Then it will show you all matches. If you find your perfect match then hit like button or if you don’t like then hit unlike button. You can also swipe image to the right side to show interest in that men or women or you can swipe image to the left side if you want to ignore them. It searches people over the Internet and using your location so you have to activate GPS setting of your smartphone. Just active GPS function to get all matches from your city. The Match for Tinder is perfect app to find out your soul mate over the internet, but I want to warn you to use it wisely and be safe. 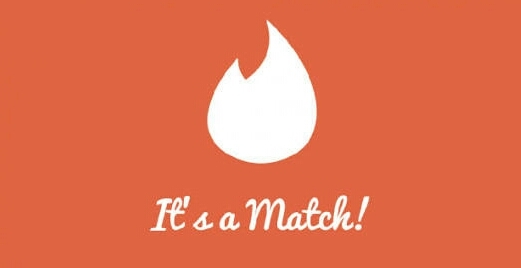 The Match for Tinder app is now available to download on all the Tizen devices. To find your soul mate you can use it or find one new friend on Tinder. Also tell us quality of this app in the comments box below.